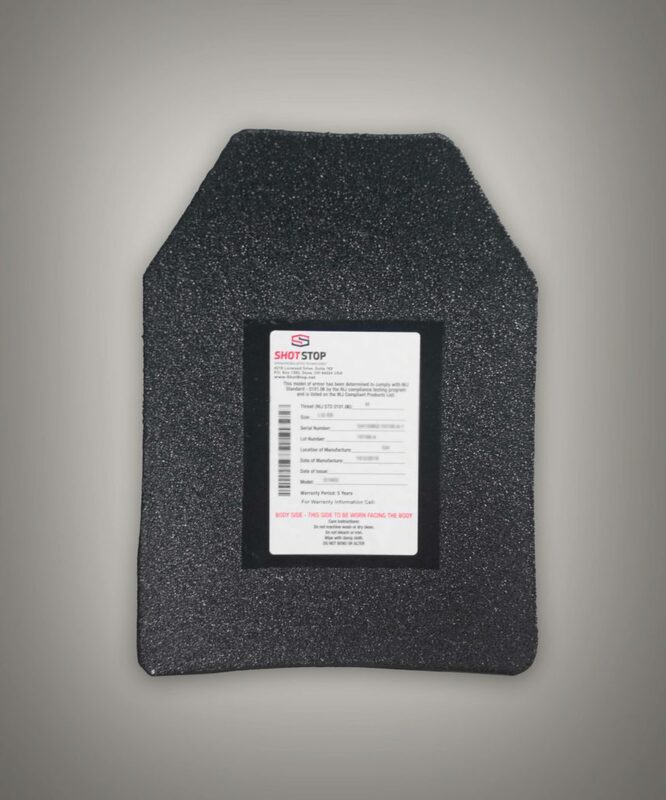 Enhanced Small Arms Protective Insert (ESAPI) bi-curve plates come in front and back plates which are identical. Each Non-ballistic training ESAPI, and Enhanced Side Ballistic Insert (ESBI) plate is the same size, form, weight, and rigidity of the ballistic plates they replace for training. X-SAPI and XSBI to be available for transition. Early model SAPI plates are no longer in production. SAPI specs are offered for comparison purposes only. Warrior Trail BALCS-Style Tactical Vest and BALCS-style low-visibility vest available. Warrior Trail Active Shooter Response Vest Available now! New Advanced Technology ShotStop Ballistic plates Available Now. Training Insert Panels are available now for the Warrior Trail Tactical Vest, Low Visibility BALCS Vest (LVBV), and Active Shooter Response Vest. Available in four sizes (X-Small, Small, Med, Large). These non-ballistic training panels replace the DuPont™ Kevlar® Ballistic panels used in all BALCS-style tactical vests. Each kit is colorized for ease of sorting and storage by size. Each 2-panel set contains a front and back panel. The training panels have the same form, weight and flexibility as the BALCS-style ballistic panel set they replace. Each training panel slips into the pockets of the OTV after the ballistic panels are removed for safe storage. Perfect for rugged training, easily cleansed and reusable nearly indefinitely; excellent for maritime and jungle environments. Each plate weighs 6.5 lbs.